Burn more calories and increase the effectiveness of you workout with this CAP Fitness 10-lb Ankle Weight Pair. This versatile pair of ankle weights can be used to add resistance to a variety of workouts including walking, toning and stretching exercises and almost any other exercise you want to make more challenging. The added weight provided by these adjustable ankle weights can help increase all over toning and improve flexibility and range of motion. They are made from a soft and stretchy neoprene fabric that is completely breathable and comfortable to wear. This 10-lb pair of ankle weights is equipped with simple nylon fastening closures designed to provide a secure and snug fit for all ankle sizes. 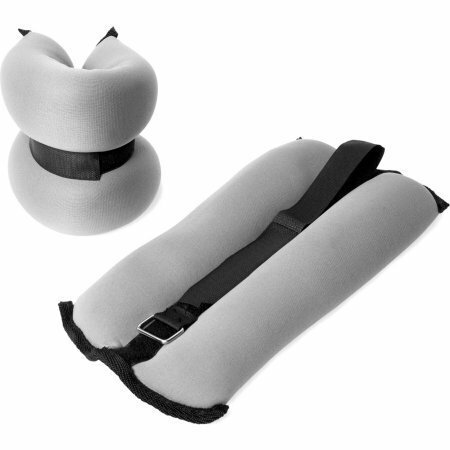 Each adjustable weight weighs 5 lbs and provides a healthy and beneficial amount of resistance for your workouts. If you have any questions about this product by CAP Fitness, contact us by completing and submitting the form below. If you are looking for a specif part number, please include it with your message.